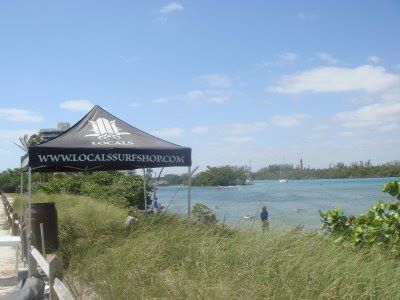 Our final stop in South Florida was at the radical Locals Surf Shop in Jupiter FL! 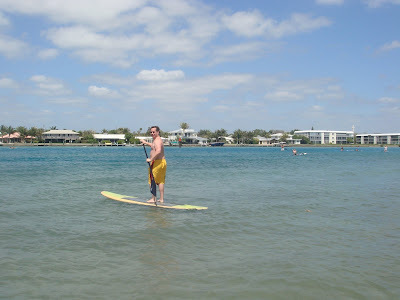 Jimmy and his wife Katie are local rippers and run a great surf shop with an awesome and knowledgeable staff. Siren started off the weekend with Locals on Saturday night at the Abacoa Town Center in Jupiter for Trik Flix. Trik Flix is a part of the Palm Beach Film Festival's student showcase of film and allows youth 25 years old and younger to submit their extreme sports videos at a chance to win a $10,000 scholarship. Later that night, my friend Mikey DeTemple screened his new longboard movie "Picaresque". Costa Del Mar did a drawing for another pair of awesome polarized "Switchfoot" sunglasses and gave out heaps of free swag! The 9'0 Siren SUP board and Kialoa's new adjustable paddle, the Hinalea, were there on display and attracting quite a crowd! 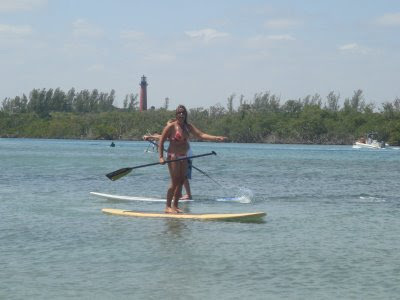 The next day, everyone met up on a beautiful little beach along the intracoastal waterway to try out Siren Surfboards new Stand Up Paddle line. 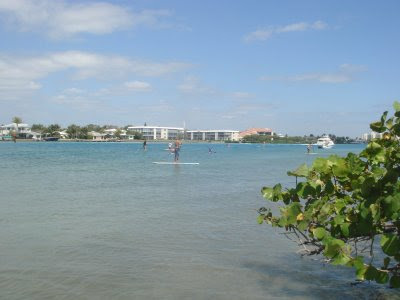 It was a typically perfect South Florida day, lots of warm sunshine and the water in the intracoastal was especially clear and turquoise. Guys, gals and kids all come out to give the 9'0 and 11'0 Siren a spin and a great time was had by all! 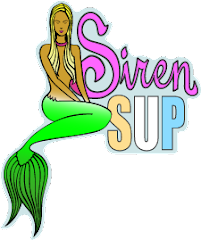 Thanks again to all my awesome sponsors that helped make Siren's Demo Days a success! Costa Del Mar Sunglasses, Kialoa Paddles, and Siren Surfboards. 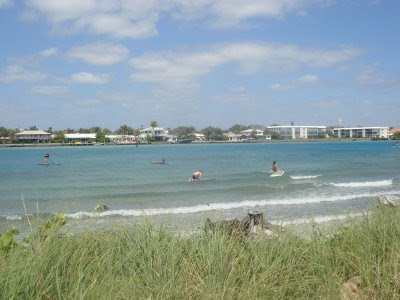 Stay tuned to kristysawesomesurfadventures.blogspot.com for information on upcoming clinics and demos this summer, starting May 29-31 in Austin TX. Please email me if you are interested in joining us for a 3 day clinic and good times on Town Lake in Austin!